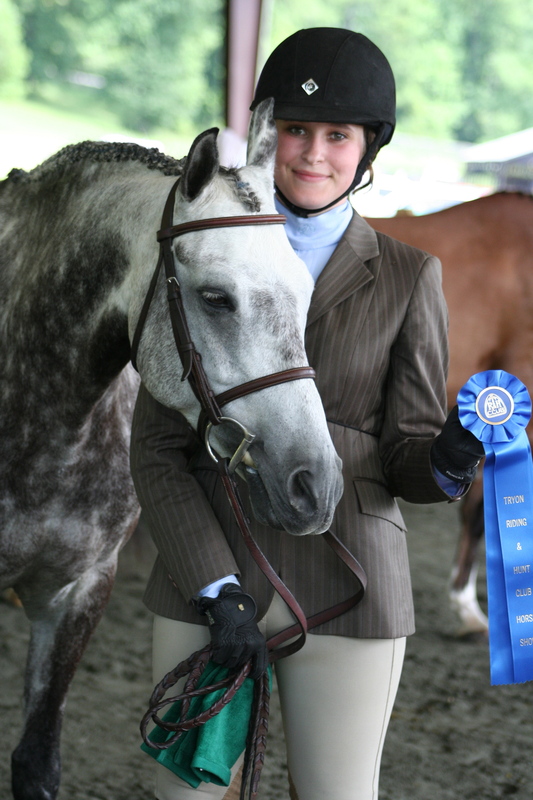 Stonewall Stratus, owned and show throughout his career by Catherine Donnell of Knoxville, TN, was named the United States Equestrian Federation Reserved Champion in the Large Green Pony division for 2012. A pony is any any animal smaller than 14.2 and a large pony is taller than 13.2 and not exceeding 14.2. A hand is four inches and horses and ponies are measured from the ground to the top of the withers, a part of their spinal process that are a prominence at the base of the neck and the beginning of the back. Only Children younger than 18 years of age my ride ponies. The USEF is divided into 10 zones with zone 4, Miss Donnell’s “home” zone consisting of Tennessee, South Caroline, Georgia, Florida, Alabama and Mississippi. The competition year runs from December 1st of each year through the end of the following November. Each pony has the right to show in the green pony division for one “green” (or inexperienced) year. Stonewall Stratus, 8 years old, competed successfully throughout the year to be named Reserved Champion by the national organization. The pony was bred by Emily Elek of Stonewall Ponies in Ixonia, Wisconsin and sold to Miss Donnell three years ago as a just broken 5 year old. The pony is a welsh, thoroughbred cross. Miss Donnell has done all of the schooling and the showing of the pony herself. She looks forward to bringing along a new horse in the near future. Miss Donnell and her pony train with Susan Kuliasha in Knoxville, TN at Fiesta Farm. Miss Donnell has been riding for six years and is a sophomore in high school.